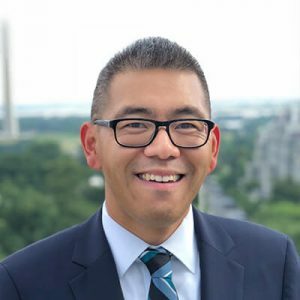 Jason Ye is a Senior Solutions and Outreach Fellow at the Center for Climate and Energy Solutions (C2ES), where he researches, analyzes, and develops strategies and solutions for climate change and energy issues. Since joining C2ES, Mr. Ye has worked in the intersecting areas of policy, markets and business, and technology. His responsibilities have included: tracking and analyzing legislative proposals and regulatory action; creating and maintaining user-friendly federal policy web content; managing C2ES’s corporate energy efficiency initiative; and examining how federal agencies are using information and communications technology (ICT) to perform their functions in a leaner, more efficient, and sustainable manner. Before joining C2ES, Mr. Ye led a practicum team for the World Wildlife Fund’s “China for SHIFT” campaign aimed at identifying, assessing, and developing business and market-based sustainability initiatives for e-waste to help reduce China’s carbon footprint and preserve biodiversity in key areas. Mr. Ye has a Master of Arts in international relations and international economics – concentrating in energy, resources, and the environment – from the Johns Hopkins School of Advanced International Studies (SAIS), and a Bachelor of Arts in political science and history from the University of California, San Diego.